Lee and Connie Kearney hold a special place in their heart for Oregon State University. 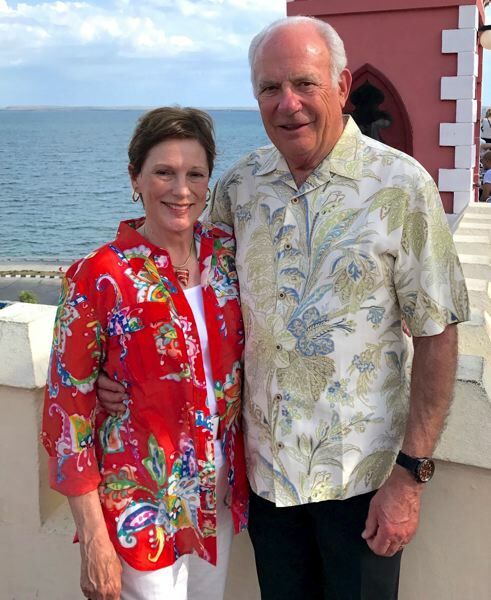 The couple met there as undergraduates and through their generous philanthropic work, continue to support the school both financially and through volunteer hours. Yet, the Kearneys have impacted more than just OSU with their giving; numerous organizations throughout Oregon and Washington have benefitted from their patronage. "We support many charitable organizations in Clark County, Washington, central Oregon and elsewhere. We prefer giving to organizations for which we have direct knowledge and experience," Connie said. "In addition we often become board members or committee members of the nonprofits we support. So not only do we support financially, we give our time and experience." The Kearneys financial gifts have been game-changers at Oregon State University, PeaceHealth, and the Boys and Girls Club of Southwest Washington. Just as importantly, they are both extraordinary volunteers giving countless hours of board service to these organizations and several others. "No one is better than the Kearneys at leveraging support. 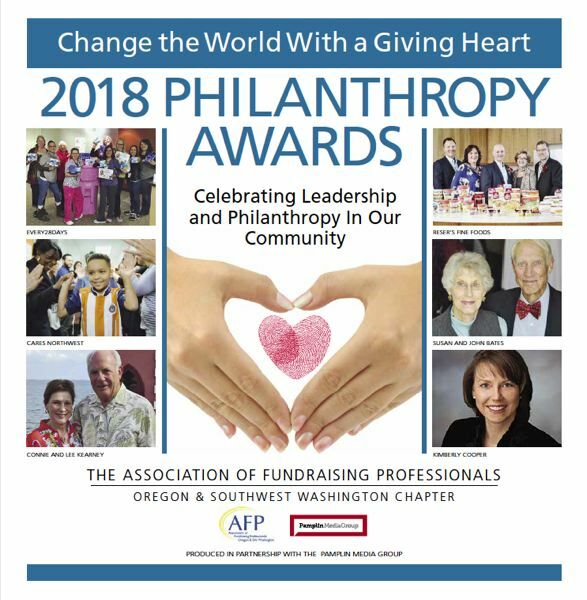 They are the kind of philanthropists that others look to, and when they get behind a project, it's a clear signal that it's important and it's going to happen," said Oregon State University President Edward Ray. "Today they are recognized at the $10-million-plus level of our Harris Society, the community of leadership donors to our university. The Kearneys have likewise made a transformational impact on several other institutions." At OSU, with a lead gift of $3 million, the Kearney's leadership and support allowed for renovation of one of the school's oldest buildings. Now, the largest college at OSU, the College of Engineering, which has doubled its enrollment over the last decade, enjoys a state-of-the-art, LEED-Gold-certified home for civil and construction engineering programs. Another gift of $1 million helped ensure the renovation at a critical juncture. The Kearneys then led further fundraising efforts by soliciting friends and engineering alumni who contributed to the $12 million Kearney Hall project. "As a land-grant university, Oregon State recognizes its role in offering first-generation enrollees the opportunity to obtain a degree. This approach, versus raising admission standards so high, that many of the students would be denied admission, makes sense to us," Connie said. "OSU graduates are readily employable and well-grounded. Over the years, philanthropy has greatly improved all aspects of OSU from facilities to scholarships to endowed professorships. We are delighted to continue to support the university." - Giving $2.5 million for a breast-care center at PeaceHealth and inspiring a thousand additional donors to give another $1.6 million to the project. - With a lead gift, the Boys & Girls Club of Southwest Washington was able to remodel and expand a clubhouse from 12,000 to 26,000 square feet. The clubhouse is now named the "O.K. Clubhouse," the "K" for Kearney. - In Baker County, a Kearney gift created an endowed professorship for Baker County 4-H.
- Continued support to the Oregon 4-H Foundation which reaches every county in Oregon, YWCA of Clark County, Daybreak Youth Services. - Leading the initiative support to build OSU Cascades campus in Bend. The four-year university will exemplify energy conservation and is positioned for a net-zero future. - Helping to preserve the history of the Aurora Colony through the Aurora Colony Historical Museum. Lee's great-grandfather was an original member of the communal-living colony in Oregon. Lee earned his degree in civil engineering from OSU in 1963 and retired from Kiewit Pacific in 1997. Connie, who began her studies at OSU, earned an undergraduate degree from University of Washington and a law degree from Creighton eventually practicing poverty law. She was a law professor and the first woman commissioner in Clark County. "I'd say that nothing would be better for any nonprofit or charitable organization than to have even one Lee or Connie knock on their door. OSU has been incredibly fortunate to have the active engagement of both for nearly 20 years," said Ray.